In 2002 I started Custom Arrangements with the goal of helping schools obtain properly licensed music at affordable prices. 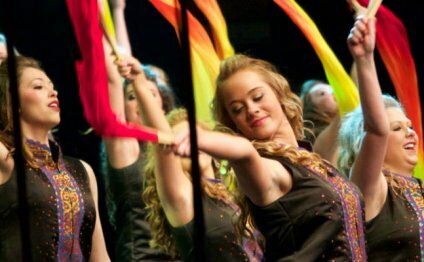 As one of the first advocates for copyright compliance in the world of show choir, it has always been my intention to protect the rights of publishers and copyright owners while serving my clients and educating the community about these issues to the best of my knowledge and ability. However, after reviewing the issues that led to the dispute between Custom Arrangements and Tresóna, I’ve come to understand that I made very serious mistakes along the way. Though I have always strived to operate in an honest and trustworthy manner, I have unintentionally been exceeding the terms of many of my licenses, and have fallen short of the gold standard to which I hold myself. Also, I communicated information about Tresóna that I have since learned was incorrect, and I understand that these misconceptions were damaging to Tresóna’s business and hurtful to the many fine people who work there. So I would like to apologize — without reservation — to Tresóna and its wonderful employees, to the music publishers involved, and to the show choir community at large. I take full responsibility for the errors I have made. I am deeply regretful and will do whatever it takes to earn back everyone’s trust. As part of a settlement with Tresóna, I have taken down many arrangements from my site, and I am providing payments to the publishers involved. I simply did not have the right to sell the arrangements that have been removed from the site. I have also agreed to compensate Tresóna for their legal fees in a timeframe that is both fair and manageable for me. I am so grateful for everyone’s support, help and understanding throughout this process. I want nothing more than to move forward in a spirit of progress and continued education, and am encouraged by Tresóna’s efforts to better understand and serve the show choir community. We are all eager to get back to work doing what we do best: licensing great music, and working together to support the kids, parents, educators, arrangers and music publishers, all of whom are so dedicated to the continued success of this wonderful art form.